Bruna, one of our students, from Brazil, tells us about her stay here at ELC. My name is Bruna, from Brazil, but i live in Mozambique with my husband Guilherme. 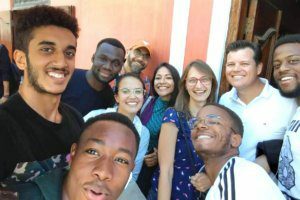 We always wanted to learn English and in Mozambique there are many foreigners and people from different countries so it is important speak English to get good jobs and meet new friends. My husband finished his last job and we had some time free to travel before staring a new project. We decide to join trip and study. Why did you choose Cape Town to learn English? 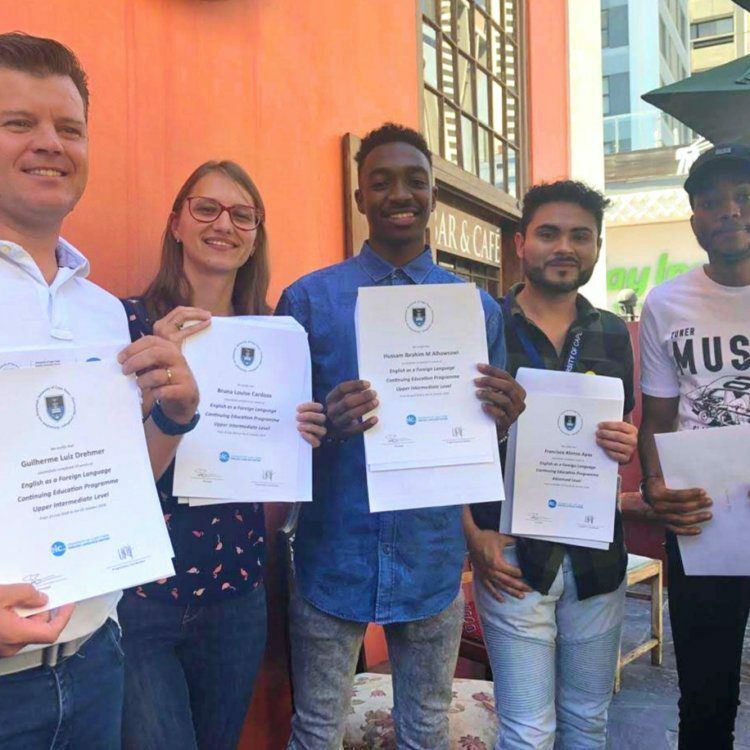 My husband and I chose Cape town to study English because is near to Mozambique so it was easier for my husband manage his English course and plain his new work. He needed to travel to Mozambique twice during the time we were in Cape Town. Even though South Africa has 12 official languages, do you think being in Cape Town helped your English? Of course. Living in a country where you can speak and listen English every day all day is perfect to improve our English learning. Even people who speak other language speak English too, so it was good to listen different accents. Why did you choose ELC? There are a lot of Brazilian in every place. And we thought that in ELC there was less Brazilian students than in other language schools. And we were right. In tree months we met just one girl from Brazil. The friend’s son did a course at ELC last year and my friend speak very well about the course. How long did you study with us? What course/s did you do? I believe that it was a good opportunity to learn about different things, not just business or academic vocabulary. Do you feel you improved? Yes, I improved so much. I am very shy and when I needed to speak I blocked and could not speak. Spending time studying in ELC gave me more confidence to speak and improve a lot my vocabulary. What’s the best thing about ELC for you? The most part of time there was few students in class. It is good because we can interact more with our classmates and teacher. Tell me about your classes? My classmates were great and we worked very well together. Tell me about your teachers? My teacher Catherine was the best teacher. She was very patient and did everything to help us. The others teacher were wonderful too. What do you think about Cape Town? We have been in Cape Town before the course and we loved. And now we love more. I did different things in Cape Town during that time that I have never done before like jumping from the bridge in a bungy jump, hiking Lionss Head, kayaking on a river and many others. But my new friends are the best part of that time. Friends from different countries and different cultures. I hope to see them again and who knows visit their countries. What did you learn that was not English? I learned about new cultures and got new points of views. Do you have any regrets about choosing Cape Town or ELC? Is there anything you would have done differently? Staying more time in Cape Town, studying English, meeting new people and exploring this beautiful city. Maybe next year. Who knows? Thank you so much for sharing these insights with us, Bruna, and we would love to welcome you and Guilherme back at ELC. 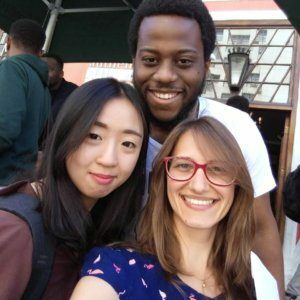 For other Student Stories, please check out Student Diouf, Kanon and Galina.